The LOST Ones - View topic - Hi. Hi everyone. My name is Natalie and my partner and I lost our first baby on 9th april due to a placental abruption at 40 weeks 4 days gest. A friend of mine told me about this site and I have been coming on every day for the last few days and reading all your stories and poems and some of the forums and thought I would just say hi and introduce myself. I know it's only early days for us, it has only been 2-and-a-half weeks, but I can't help thinking about when I want to try and get pregnant again. My midwife told me it is recommended I have 3 normal cycles before getting pregnant, which is fine, the problem is that I feel like I am betraying my son by even thinking about it (even though I cry every day for him and think about him constantly), and that when I do get pregnant people will judge me for not waiting longer. The thing is we got pregnant because we wanted a baby! Yes I have had a full term pregnancy and yes I have gone through labour and given birth, but I don't have the baby that most other people have after they have done all of those things. And for me, while I am absolutely heartbroken and sad, the feeling of really wanting a baby is still there. To make things even harder for us, my brother and his partner were due to have their second baby the week after my due date and their new daughter was born on friday. I have put on a brave face and I even went to see them at the same hospital I gave birth to Dreyton in, but it just reminds me that they have got something that, for whatever reason, I don't. As I said it has only been 2-and-a-half weeks but while that 2-and-a-half weeks has gone really fast, it seems like Dreyton's birth was so long ago and I feel like I can't wait for the 3 cycles to come and go. I must sound like such an awful and selfish person! How long did you wait before trying to get pregnant again and what did your partners think about when would be a good time? I have spoken to my partner about it and all he said was "when we are ready I guess", which is probably the correct response but it made me feel even worse for having thought about it already. Thanks for listening and any response will be appreciated! Welcome to our little Lost one Family!! So sorry for your loss and I so wish I was welcoming you onto a difffernt forum and you had your darling son in your arms. What you are feeling is completely NORMAL!!! I know as soon as I lost my frist baby I so desperately wanted to get pregnant again. I lost him in the Jul and was pregnant again by the Oct. Right now your whole world is compeletly upside down. You are alot stronger than you give yourself credit for. To go and introduce yourself to your new neice so soon after loosing your son is so brave. Please know we are all here for you to help you and guide you through this terrible time. I'm so sorry for your loss. It is such a dreadful thing to have to go through. My husband and I lost our little boy on 22 January this year at 22 weeks 4 days gest. I am still only now coming to terms with the fact that he has gone and I am not pregnant. My husband and I have not even talked about trying again as we have decided to wait 6 months. I have been thinking about it in the last week or so though and like you feel that I am betraying my son. Its not a betrayal though because whatever happens your son will always be a part of your lives and will be a brother to any other children you have. Don't let people judge you. Whatever you and your partner decide to do is up to you and is nobodys business but your own. I hope that your friends and family wil be supportive. It is absolutely normal and natural that you want to try again and hold your baby in your arms. Good luck and stay in touch. Im really sorry to hear about you losing your little boy. Life isnt fair. My husband and I lost our first baby boy Connor last year in feb. We are pregnant again with a little girl. I have just passed 20 weeks. Like you, I was planning another child asap however I never felt like this was betraying Connor. My mw advised me to wait 3 months and that was fine by me. I dosed up on folic acid and everything too. It felt like a veeerrryy long 3 months, but when the time came I just wasnt ready mentally. I think they ask you to wait so that your body can have time to replenish itself and you can heal physically from the birth. Im really glad I gave myself the time so that I could work through the thick of the grief without having to worry about pregnancy issues. I think everybody grieves differently so dont worry that people will judge you cos at the end of the day they just dont know what its like do they? If they did then they wouldnt judge! I hope youre coping as well as you can sounds like youre doing all the right things. Hi Natalie, Welcome to TLO. I know how you feel and you are NOT selfish. 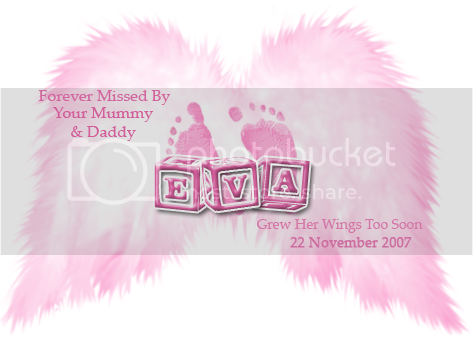 We lost our first daughter Georgia Grace on 11th Jan 08, I was ready to be a mum, and although I had a beautiful daughter in heaven, I felt that I needed a child here with me. The longing to hold my baby in my arms. We waited a few cycles as the midwife advised, and now we have a beautiful 4 month old daughter, Shawna, here with us. I tell Shawna all about her big sister GG all the time, GG is our first born, and is as loved as Shawna. I was worried what other people would think too, but in the end decided that it was our decision and we were ready. I'm very sorry for the loss of your little boy. I'm Amy and we lost our son Jamie last year after he was born at 24 weeks, he lived 8 weeks, although it was heartbreaking at the time I feel priviliged. I'm struggling for words as I'm new here to posting, I'm just very sorry. It so sad to think of others starting out on this road. Hi Natalie welcome to the TLO Family, I am sorry to hear about your beautiful son. Our son was born 21 March 08 at 26 weeks gest. I too struggled with the decision to try and concieve again, and in the end we decided that it was always going to be on the cards regardless of loosing Will or not. Even now I still have days where I am not so sure of our decision but know with support anything is possible. It's not so much my friends and family that I think will be doing the judging. I work in a daycare centre (which in itself will be a challenge when I decide to go back to work!) and it's all the parents I deal with on a daily basis that I am worried about. I can't explain to them that I will always love Dreyton and he will always be my firstborn, but I feel empty without the baby that for 40 weeks I thought I was going to have. I know it's silly to worry about what other people think but that's what I am like. I do worry about other people's impressions of me. At the end of the day though, none of them have been in my position (well actually 1 that I know of has) so they can't possibly know how we feel. If my partner and I are ready that is all that should matter. I just can't help my brain thinking these things! Aargh! Anyway I'm having a rough day today because Dylan went back to work this morning. I balled my eyes out when he was leaving and told him I didn't want him to go but he had to even though he felt really bad leaving me. My mum has taken the week off work to be with me because I just don't feel ready to be by myself. But she has to go back next week so I need to come to terms with it I guess. Hi Natlie. I think the other lovely ladies have said it all, but I just wanted to say hi and send you a big cyber hug. I'm so pleased that you have found this group as they have really been a life saver to me. As the others have said, don't feel guilty or selfish in any way - you are not wanting to get pregnant to replace your wee man, the fact that you want a baby is still there. We lost our wee boy last February at 16 days old and we got pregnant about 3 months after that. We were quite surprised at how quickly it did happen and I felt quite ready when it happened and I feel that if I hadn't been mentally ready, my body wouldn't have played the game! It was an anxious pregnancy, but we now have a little girl (Taylor) who was born in March. Take care and know that we are all here for you. Wanting to get pregnant again is a natural feeling i felt i wanted to get pregnant again very soon after losing my boy and also struggled with feeling i was betraying my son. I didnt try for the 1st 3 months as i knew i wasnt ready physically or emotionally. I had placental abruption too but at 19weeks 3 days so had lost alot of blood and needed to get my body back to normal anyway. I think you'll know when the time is right for you. I once heard somveone say 'its not that you could ever replace your baby but you just need some happiness in your life as you carry so much pain'. Its been 6 months since i lost my baby but it has been the fastest 6 months of my life and it really is a process that i think will take years to come to go through. Feel free to post whenever you need to, Im here if you ever need to talk. ((((Hugs)))) I am sorry sorry to hear of the loss of your little man Dreyton. Its such a horrible and unfair journey that those of us, who have lost an angel, have to endure. My heart goes out to you and you DH, and I hope the this journey is gentle on you both. You have found a site or family of lovely people, that has been a life saver to me, in terms of coming to terms with our loss and understanding that alot of what I have felt is normal through our grieving process. We lost our little girl Satori at 36.5weeks in Nov 07 and it has been a rollercoaster of feelings & emotions, since then. Although things are alot more normal now, I still miss her everyday and will do forever. The only advice I can give you is to do whatever it takes or whatever feels right to you, to get you through these initial days, weeks, months, and be gentle on yourselves. It terms of wanting another baby - this is very natural, and in fact all of the decisions we made in terms of my Labour with Satori, were made with having another child in mind, so we really had made the decision, to try for another baby before she was even delivered. It has taken a bit longer to achieve our goal of another pregnancy, than we thought it would, but we are there now, and I can only hope that Satori helps guide her little sister in to this world safely. As Tanya (Liams Mum) said, I think your body kind of dictates as to when its ready or not, so i wish you all of the luck in the world, and Dreyton will always be a part of your, and your sunsequent childrens lives. Take Care Sweet, and please come and chat as often as you need. I too lost a lot of blood (I lost 2 litres) and was extremely anemic before that so I have a lot of recovery ahead of me before I can ttc. And I am happy to wait, even though 3 months seems like forever away! I was trying to explain to my mum this morning that although the last 3 weeks have gone really really fast, it seems like ages ago that it all happened. It's quite a bizarre feeling and trying to explain it to my mum was bizarre too. And we also knew that one of the reasons I had to give birth naturally to Dreyton was because c-sections affect future pregnancies, so I guess in a way we too knew straight away that we were going to be trying again. My midwife came to see me yesterday and she already had a copy of the placenta post mortem results. I thought that was pretty quick considering she told me I won't even go back to see the OB until it has been 6 weeks. She was also suprised at how quickly it came back. Anyway it was all normal (other than the blood clots where I had been bleeding) which upset me because I need to know why my baby isn't here with me, and at least if it was something I did or something wrong with my body we would know what to do different next time. Apparently the only thing we will change is that I will be induced at 38 weeks. She said I can have extra appointments to listen to the heartbeat if it keeps me calm and makes me feel better but other than that nothing will be different because nothing caused the bleed! It's quite frustrating. I went to my work today to visit my children and I was anticipating them asking me lots of uncomfortable questions. They were actually really good and did ask questions but they weren't questions which upset me. I guess my work mates have been getting the upsetting ones! Anyway, sorry for rambling and thank you all for your feedback so far. This site is helping me a lot I think because I am shy so I don't think SANDS meetings are the place for me. I just don't like meeting lots of new people all at once. Have you had blood tests done after you lost your son? Because you had placental abruption they should do some test to see if there is a reason why it happened. Because i had been given a few blood transfusions i was recommeded to wait till 6 weeks after till i did the tests. some of the tests are for diabities, thrombophilia screening and a few others. i think your OB will arrange those test at your 6 week review...if not definitly ask for them because some people are prone to clotting and in a future pregnancy there is medication to help prevent it happening. My midwife also said they would do nothing differently in a subsequently pregnancy but the Ob's i saw said i should definately be cared for differently and said in a future pregnancy i would been seen at hospital by OB as well as a midwife to be monitored more closely and have multiple scans. I tested negetive for everything and all my placenta showed was clots and that there had been massive bleeding (well i already knew that!) so i still have no awnsers. While I was still in labour my midwife took some blood and swabs and she was getting them tested for all sorts of things. When she was here on tuesday she said she still didn't have the results so was going to ring up and chase them. I'm not sure exactly what she was testing for though. And I have to go and have a blood test next week but I'm pretty sure that one is just to check my iron levels. When I go to the OB I will definately ask questions about the next time I am pregnant!! yeah i thinks these will be different tests they took 8 tubes of blood plus they told me they cant test while your pregnant because the tests wont be accurate something to do with how your body changes while pregnant. Oh and thats right midwifes cant order those tests so unless the hospital OB signed them off they will be different. Oh I see! Something else I will need to ask the OB about! I think I should make a list! I had written a post whe you first posted but got dragged away and lost it, sorry. I didn't realsie when you first posted that we have a friend in common, the same friend that told you about TLO. I went to High School with Deidre (Tobysmum) (Hi TM yip, finally got the brats to bed ) . Anyway, I was so sorry to hear of your loss of wee Dreyton. All the feelings you are having are totally normal. Everyone grieves differently, but at the same time there are so many similarities. In fact, only moments afer we were told Trinity had no heartbeat I turned to DH and said, we have got to try again, I was instantly wracked with guilt. I knew I couldn't replace Trinity, although I'm sure many people thought thats what we were trying to do, but the need to have a baby was so strong ( a live baby that is). Nothing can ever fill the void that my girl has left, 4 years on it still hurts, but you learn to live with the hurt, you make it part of your life. The pain does lessen, it becomes easier to cope with, but it never fully goes, and sometimes that is comforting, strange as it may seem. Try not to beat yourself up for wanting another baby. Allow yourself to grieve for Dreyton, but also allow yourself to think to the furture, you can do both, there is such a thing as a happy outcome. I know only days after we lost Trinity I was desperate to find people who had gone on to have babies after losing one. I didn't wait the full 3 cycles (we were told the same), in fact I was pregnant 7 weeks after, perhaps we should have waited longer, but I don't really regret it. It is a strain on your body, but for me, it was a small sacrifice to make to be able to hold another baby, one we could raise. It also didn't give us much time to fully grieve, but we had alot of support, as long as you are aware you still need to grieve, don't block it away, but sounds to me like you are open to it all. I'm just not sure about how a placental abruption would effect future pregnancies (Jessie would be able to tell you, you could try pm'ing her, although she may not answer right away, she's due to have her little Lorelai any day now, she had a placental ab when she lost Darien). You will know what is right for you, some choose to try again right away, some wait, some have no choice, but you will know. Oh dear, I waffled on a bit didn't I, ooops. Thank you for your message. Yep we both know DJ (Deidre). As well as your lovely site DJ has been a great support to me. During my pregnancy we would chat about lots of things and since Dreyton was born she has been fantastic. We had a really good long chat on the phone a couple weeks ago and even though we know eachother through my work, she has become a good friend and someone I look to for advice and comfort. She also told me it is pretty normal to think about the next baby, and so have lots of other people! I told my parents and in-laws the other day how I was feeling and they have all been really supportive about it. Also I spoke to a lady called Tomasina today who some of you ladys may know or have heard of. She is involved in a study on stillbirth, and is trying to find similarities in the many stillbirths in NZ (I was shocked to learn there are 600 stillbirths in NZ every year) so that doctors and midwives can start to try to predict them. She also said to me that it is very normal to think about having more babies, and that it is also very normal to feel guilty about thinking about it. I look forward to getting to know all of you a bit better too, and I'm sorry we had to go through what we have all been through in order to meet! PS I've read some of the old forums where Lisa had posted and I'm sorry that after everything else you have all been through you have also had to loose such a good friend. It seems like she was a very caring and giving person, and it's really unfair that she was put through so much while she was here! Welcome to TLO, and thank you for sharing your story with us. My name is Alana and I have been part of this forum for about 3 years, and found it an awesome place to visit and chat! I am also part of Sands Auckland Central. The others have said most of what I wanted to say to you. Our little Maria was stillborn at 24 weeks, and we decided to wait till after her due date before TTC again, as we wanted to give ourselves time to grieve. In hindsight, I wish I had waited longer as I found my subsequent pregnancy emotionally very difficult. Having said that though, we have a beautiful daughter, Julia, who is nearly 3 now, and everything we went through was totally worth it. I guess what I am saying is to do what's right for you. Everyone is different, and other people will always say silly things to you or try to tell you what to do, but only you know what is comfortable for you. P.S. Yes I have met Tomasina, she is an amazing lady. She is going to be presenting some of the results of her study at the Sands conference in August.